The dust has settled, blisters and sore muscles are healing, but the spring in Casper Mpofu’s step remains after reclaiming his title as Africa Albida Tourism’s (AAT) fastest runner for a record fifth time after he crossed the finish line first amongst the hospitality group’s runners in the Victoria Falls marathon on Sunday. 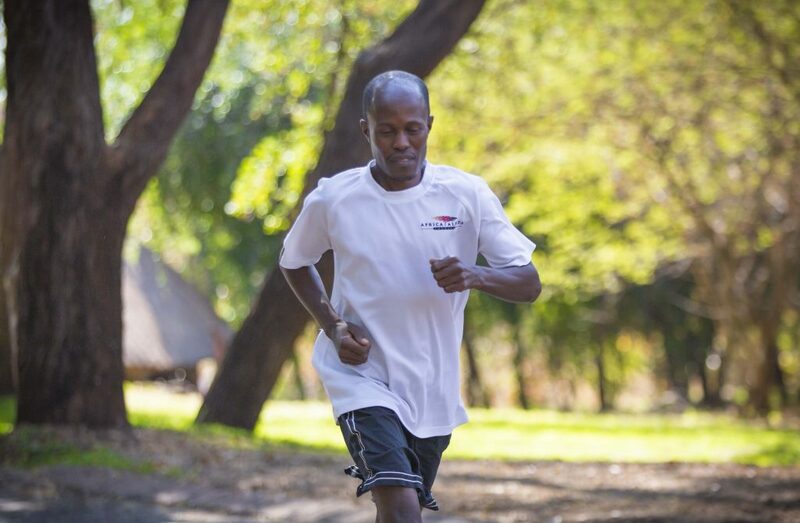 The Victoria Falls Safari Lodge housekeeping supervisor was thrilled to take home the Ian Wallace trophy, after completing the 21.1km half marathon in 1 hour 34 minutes 10 seconds, after losing it last year to colleague Jaya Mapfumo. Jaya, a Lokuthula Lodges bedroom hand, settled for second place (1hr 37min), followed by stores clerk Matthew Mathe (1hr 49min 6 sec), while the first woman across the line was digital marketing consultant Tyla Crabbe (2hr 1min 6 sec). A total of 75 AAT staff participated in Zimbabwe’s biggest race, which offers runners a glimpse of one of the Seven Natural Wonders of the World as well as the chance to spot wildlife, with 43 in the 21.1km half marathon, while 32 competed in the 7.5km fun race. 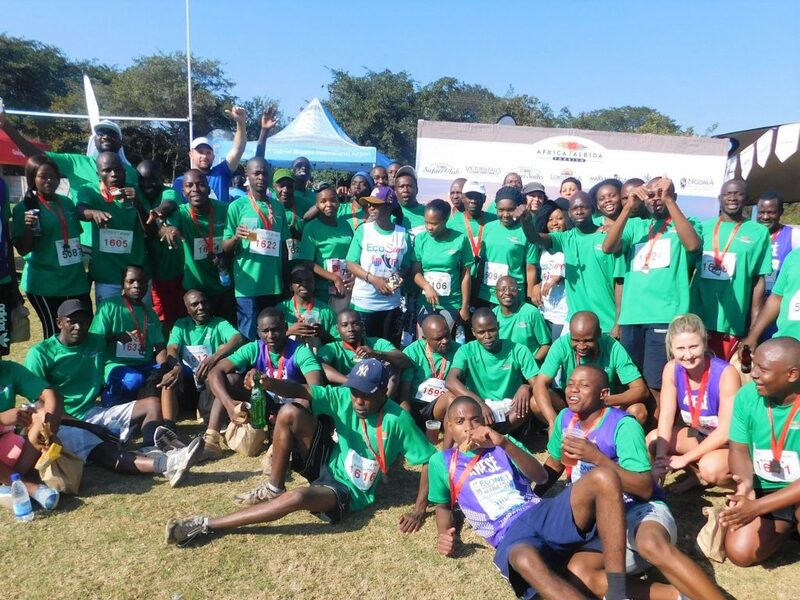 AAT’s theme was “Running for a Greener Future”, with runners wearing a green t-shirt bearing the logo of its latest corporate social responsibility initiative, Victoria Falls Recycling, which is expected to have a major impact on protecting the environment. The Econet Victoria Falls half marathon was won by Tatenda Hove in 1hr 6min, while the first woman, Beth Chikanga, crossed the finish line in 1hr 16min 6sec, and the full marathon was won by Nkosinazi Sibanda (2hr 21min 8sec), and Olivia Chitate (2hr 58min 35sec). AAT operates a portfolio of properties including its flagship Victoria Falls Safari Lodge, Victoria Falls Safari Club, Victoria Falls Safari Suites, Lokuthula Lodges – Victoria Falls, and Ngoma Safari Lodge in Chobe, Botswana.